Lesley founded Jigsaw Travel in 1998. The name Jigsaw Travel was born from the concept that most business trips have numerous elements ie, flights, hotels, car hire, insurance etc and that her company could ‘piece together’ all these elements to offer a bespoke travel service. 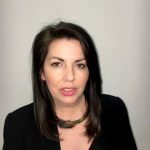 Lesley has a strong background in sales coaching and performance management as well as a wealth of operations expertise in both management operating systems and resource planning. Since 1998 the turnover of the business has grown steadily year on year. Lesley takes a very hands on approach in the day to day running of the business and manages a portfolio of clients throughout the World. CLICK HERE FOR A PERSONAL HELLO FROM LESLEY!